UltiSat, Inc., a Speedcast Company, has been awarded a multi-year, multi-million dollar subcontract to supply an airborne system kit to support delivery of Multi-INT sensor payload information through near real-time satellite communications onboard a King Air 350ER aircraft. 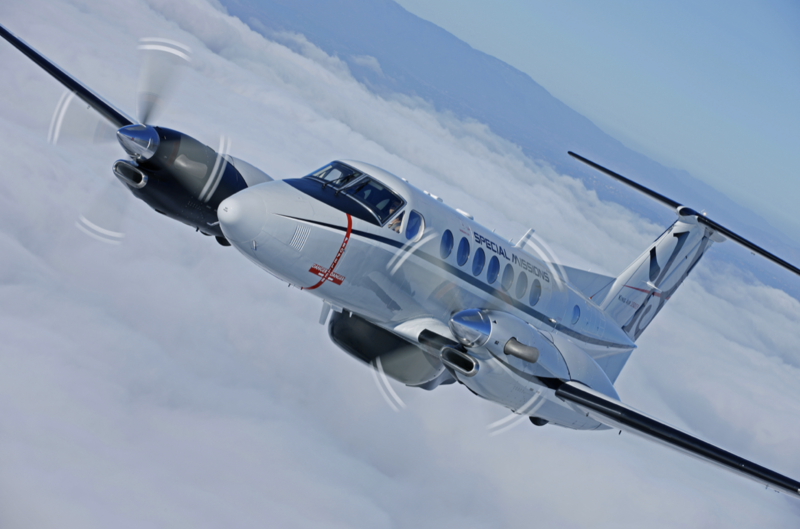 The contract is in support of Sierra Nevada Corporation (SNC) to provide Airborne SATCOM-on-the-move solution design, selection and systems integration for Airborne ISR programs onboard a King Air 350ER aircraft. Bill Leonard, Sr. Program Director at SNC stated that UltiSat was and continues to be a critical, trusted partner in the aircraft integration and overall aircraft Systems Acceptance Testing efforts. Garr Stephenson, UltiSat Executive Vice President of ISR & Mobility Solutions added that their Mobility team made a commitment several years ago to increase their focus on supporting Airborne ISR programs and missions where their technology-agnostic COTM solutions and systems integration capabilities are the best in the industry. They are exceptionally proud that their subject matter experts and unique solution for the King Air 350ER won the confidence of SNC and their customers as the best value for their important missions.